A few days ago I finished testing Bush Beard Care Co ‘Mongol Blend’ Beard Oil, again a very nice beard oil that has been blended perfectly. A beautiful blend of Mandarin, Sandalwood, Bergamot, Lavender and Vetiver essential oils has resulted in a sweet citrus with a slight flower and spicy background. Like the previous two Bush Beard Care Co oils ‘Kings Blend’ and ‘Janissary’ the scent isn’t too powerful, it’s at the perfect strength and the essential oils work in harmony rather than one or two being too strong and blocking out the others. ‘Mongol Blend’ is a Base of Jojoba, Sweet Almond, Pure Apricot, Grapeseed, Kukui Nut, Vitamin E and Aloe Vera into which the essential oils are then blended. The Mandarin is a nice touch, citrus smelling but distinctively different from Orange,it’s slightly sweeter and gentler and works very well in this oil. The oil sits between a light and heavy oil and is a pleasure to have on your beard. It left my beard feeling soft and gave it a nice hold. I did think that ‘Kings Blend’ would be my favourite Bush Beard Care Co oil because I love the Frankincense scent but ‘Mongol Blend’ has just pipped it to the post! 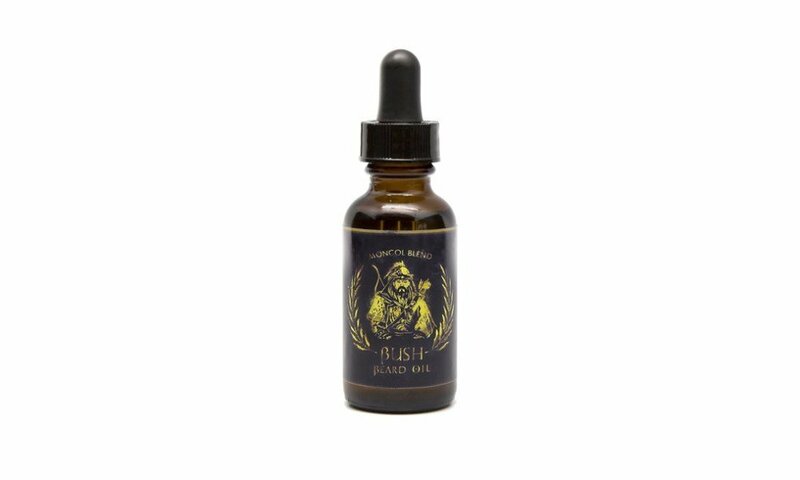 ‘Mongol Blend’ Beard oil from Bush Beard Care Co can be bought in a 1oz bottle with a glass dropper for $11.99 or in a 1.25oz glass vial for $13.99 from their website.